On Thursday night last week I went to the launch event for The B Team Challenge at the BizDojo, Auckland. The B Team is a group of global business leaders, headed by Richard Branson and Jochen Zeitz, who have committed themselves to a mission: ” The B Team’s mission is to deliver a ‘Plan B’ that puts people and planet alongside profit”. The 14 business leaders (click here to see their profiles) taking part in this challenge, realize that in order to create a sustainable future for business, there has to be a sustainable future for our planet and the people living on it. I believe that business taking a leadership roll in creating sustainable practices is certainly a huge step in the right direction. When larger corporations or even small businesses make sustainability education and practice a priority and part of the workplace culture, this positive example can trickle down into everyday lives of the employees, their families, and the ultimate goal of creating positive change in our global society. The B Team will address three initial Challenges of “The Future of Leadership”, “The Future Bottom Line” and “The Future of Incentives”, but they also realize that they might not have all the answers and are calling on the global community to add their input and ideas to this project: ” The B Leaders will focus on execution and action, catalysing and amplifying others’ efforts by undertaking specific global Challenges where their collective voice can make a difference”. This global community includes a panel of advisors and partners, but it can also include you. After the initial launch, the B Leaders left 3 questions to start discussion amongst the individuals watching the live broadcast at kick-off events around the world. How might The B Team help amplify or catalyse what you are already doing in your organization as part of Plan B for Business? What are the most transformative, scalable and systematic solutions that can advance the three Challenges we have announced? As part of a Plan B for Business, we need to reflect on what the fundamental role of business is for people and the planet. If you could add one statement to a new “Charter” that redefines the purpose of business, what would it say? It turns out that besides being World Gin Day, June 15th is also Global Wind Day. Staring in 2007, Global Wind Day is s a worldwide event organized by The European Wind Energy Association – EWEA – and the Global Wind Energy Council – GWEC that occurs annually on 15 June. It is a day for discovery and discussion around wind, its power, and the possibilities it holds as a sustainable energy resource for the global future. More than 75 countries around the world have wind farms in operation generating energy from this clean and renewable source. In New Zealand, where the majority of power generation comes from renewable resources, wind farms have an installed capacity of 623 megawatts and generate over 4% of electricity for the country. Comparatively in the USA, which has a much larger population and land mass, wind farms have a installed capacity of approximately 60,000 megawatts. You can download the 2012 GWEC Global Wind Report, which will give you a more comprehensive picture of the currant status of wind energy use in the world. 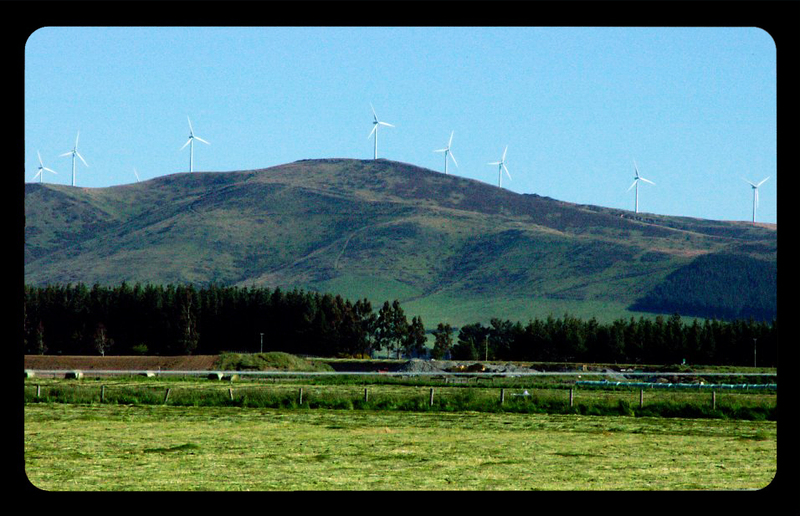 While there has been much controversy here in New Zealand, as well as the rest of the world, about the effectiveness of wind power generation versus the costs, both financially and aesthetically. I know personally I would much rather see a wind turbine on the horizon than a smoke stack billowing CO2 laden smoke, or risk contamination and exposure from a nuclear power plant leak. Wind power generation is is certainly an avenue that needs to continue being explored as fossil fuels are becoming more expensive, more scarce, and are are a continued detriment to the global environment. So . 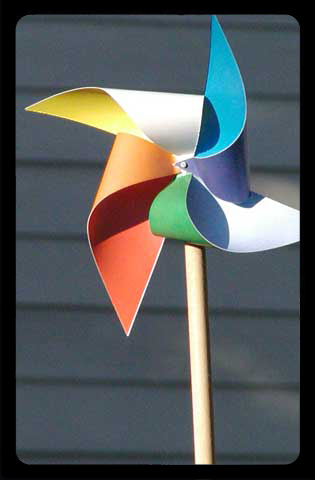 . . go grab a pinwheel (or even better, make one), and celebrate Global Wind Day!! The next generation will be the ones who not only learned to live a sustainable lifestyle, but hopefully have grown up that way, and do not know their are other alternatives. 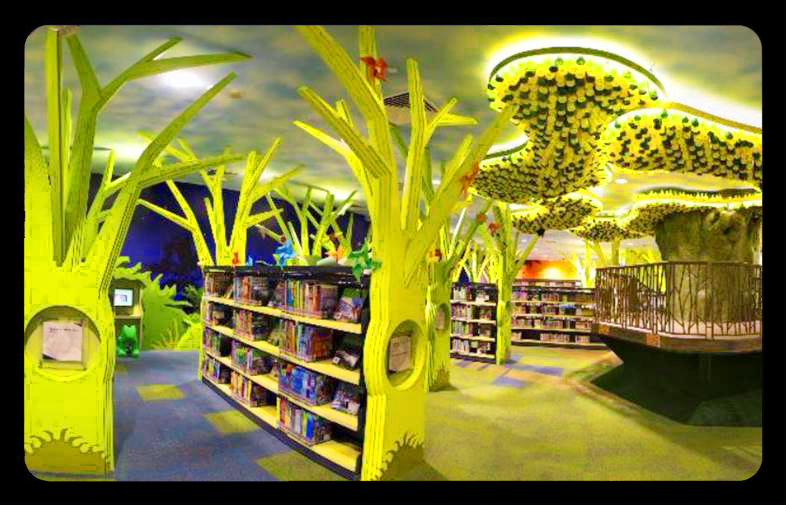 Places like this new My Tree House Green Library for Kids in Bras Baseh, Singapore are an important tool in teaching children how to live a sustainable lifestyle, but more importantly they make that learning FUN!! My Tree House Library is the first in the world to use principles of green design in almost every area, including energy-efficient LED lighting, refurbished bookshelves, recycled building materials and carpets, and low VOC paints and adhesives. The library houses a vast collection of 45,000 books , 30% of these books are focused on green living topics such as animals, plants, nature, water resources, weather, environment, recycling and climate change. Other green activities includes green themed programs focusing on storytelling sessions, eco-friendly workshops for creating games and crafts, and library tours for schools to increase environmental education and outreach. It features multi-sensory hands-on sustainable exhibits such as the Knowledge Tree shadow play wall, where a magical tree grows. The interactive Knowledge Tree (shown to the left) asks kids questions about environmental awareness and energy conservation, and the kids answer using his or her shadow. 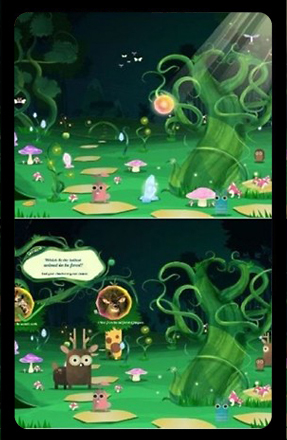 Correct answers will cause the enchanted forest to flourish, but with incorrect answers the forest will wither. I would have loved to run around a place like this when I was a child. Truthfully, I probably still would . . .